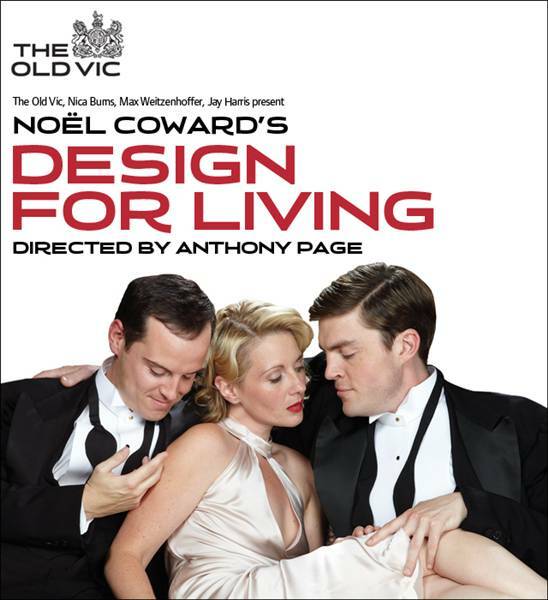 This Noel Coward play has returned to the London stage for the first time in over 15 years. 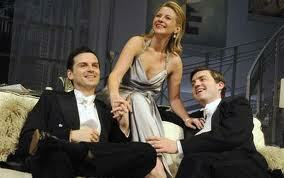 Beginning in 1930s bohemian Paris, it travels to London and then to the heights of Manhattan society. A tempestuous love triangle unravels between interior designer Gilda, playwright Leo and artist Otto – three people unashamedly and passionately in love with each other. Initially banned in Britain it certainly lives up to Noel Coward’s quote “Let’s live turbulently”. This production at the Old Vic is opulently staged and has some stellar acting performances from Andrew Scott (recently seen as Moriarty in Sherlock) who has a magenetic presence and fine comic timing and Tom Burke (from one of my favourite dramas State of Play). The rapport between the two made each scene together sparkle and the laughter just flowed when they were together – to the point where my mascara was literally running down my face. The only weak link was Lisa Dillon who just didn’t convince, she was too uptight, clipped, middle-England to be believable as the bohemian-minded Gilda. A play that shows however light-weight Coward appeared on the surface he managed to convey some very forward-thinking views in between the laughs, and laughs a-plenty there are to be had here. A play of quality, beautifully staged, directed and acted.